Take some lessons from one of Britain’s most famous steam locomotive engineers. 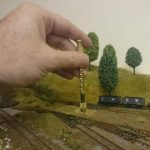 Your layout will thank you.Sir Nigel Gresley hopefully needs no introduction here. The A1 Pacific, Flying Scotsman, was the first steam locomotive officially recorded over 100 mph in passenger service. The Class U1 2-8-0+0-8-2 Garratt was the longest and the most powerful steam locomotive ever to run in Britain. 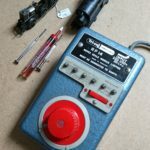 He was a hugely respected engineer whose designs were considered elegant, both aesthetically and mechanically, running not just smoothly but at a lower cost than others before. 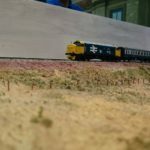 As one of our most respected engineers, there is a lot miniature railway modellers can learn from him. Here are my top lessons. This was one the reasons he achieved so much and set so many records. And, I apply the same logic to my layouts and model engineering (regular readers will know research & experimentation are repeating themes here). 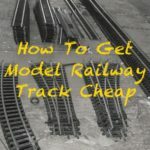 Go and build yourself a miniature Gresley test centre for your track, trains and layout. 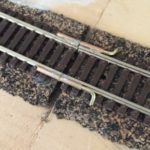 Test and trial everything you build on your layout. Prove every technique. It doesn’t have to be the size of the Vitry test centre just a small bit of wood with some track on which you can practice track laying, painting and ballasting techniques and some space either side to try scenery techniques. When the LNER chief engineer found someone doing something better or using an improved technique he had no problem with incorporating that into his own design. Equally he shared and contributed his ideas* publishing several important papers on locomotive mechanics. 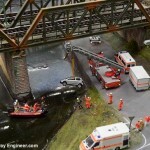 There’s absolutely nothing wrong with doing the same on your model railway. 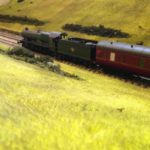 Visit shows (Warley at the end of this month in particular), attend your local club and watch YouTube to see how other modellers do things, the techniques they use and incorporate their ideas into your layouts. And, like Gresley, share back too. If you have your own suggestions drop me a message via the contact page or Facebook and I’ll publish the best ones here. And Gresley didn’t just talk to railway engineers. The streamlined design of A4 Pacific Mallard was influenced by French-based racing car designer Ettore Bugatti*. If you’re stuck for ideas and inspiration look outside the world of railways and trains. Read books on history of the area your layout is based on, have a look at model making and wargaming model making sites on the Internet for techniques (Time Capsule Scratch Builder on Instagram, who has just written a guide to making snow, is a good example) and visit heritage industrial museums for themes and ideas to incorporate in your layouts. 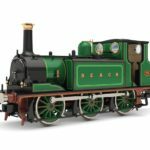 Gresley changed the look of locomotives forever after talking to a sports car designer; change the look of your layout with detailing ideas non-railway sources. Sir Nigel Gresley was an engineers engineer. He sought and shared ideas, researched and tested concepts and continually sought to improve locomotives. Follow this path for your railways and you won’t go far wrong. Churchward is perhaps a better example of this approach.